Beaches – The love for waves! Pre-2000, waves and beaches would have meant only the sea. Post 2000, the year of release of my favourite movie, Alaipayuthey, sea and beaches do bring to mind everything about the movie and the oodles of beautiful memories associated with the movie too. But, hey, this post is not about the movie. It is, as the title says, all about my love for waves. From as long as I can remember, I have always loved beaches, walking along the waves in the wet sand, gazing at the waves, letting waves after waves lash my feet and having the salty water caressing my feet and letting the salty sea breeze refreshing me. Growing up in Madras, childhood was obviously filled with regular visits to Marina beach. The mere sight of waves have always had a calming effect on me. Everytime I see the sea appearing endless and the waves seemingly arising all the way from the horizon, it not only reminds me of how we are nothing but a mere tiny speck in this huge universe, but also reminds me that in the larger context of life, all the everyday trivialities just do not matter. As a child, islands always fascinated me. Island was that tiny piece of land surrounded by beautiful waves. I never really thought that I would move to an island someday. Of course, an island like Singapore is nowhere like those quaint, isolated islands filled with lush greenery and pristine beaches that you read about in books. But, everytime I visit the beaches here, which I must admit is not as often as I would like to, I love spending at least a few moments connecting with nature and my inner self even as the mere sight of waves relaxes me. 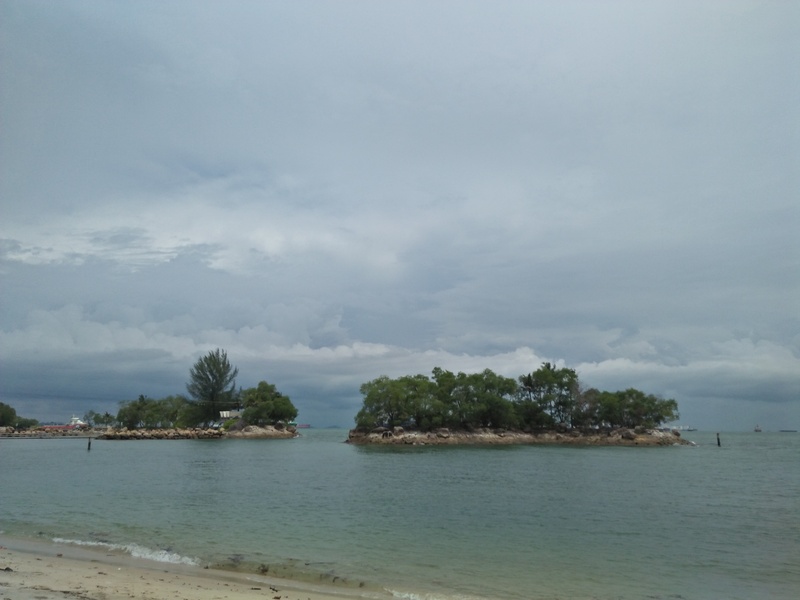 Last month had quite a few moments like that what with visits to some of the beautiful beaches of Singapore – Siloso Beach and Palawan Beach at Sentosa island, Punggol beach and Coney Island. While the beaches at Sentosa, though usually frequented by locals and tourists alike appear crowded, Punggol beach and Coney island turned out to be one of those places offering several quite spots even on a Sunday evening. It is moments like these spent amidst such a marvelous creation of nature that inspires me to write something here too…. This entry was posted in Life's Like That, Nature, Singapore on September 19, 2018 by admin. I love the ocean. I love waves. I just wish Chennai beaches were less crowded and cleaner, though.